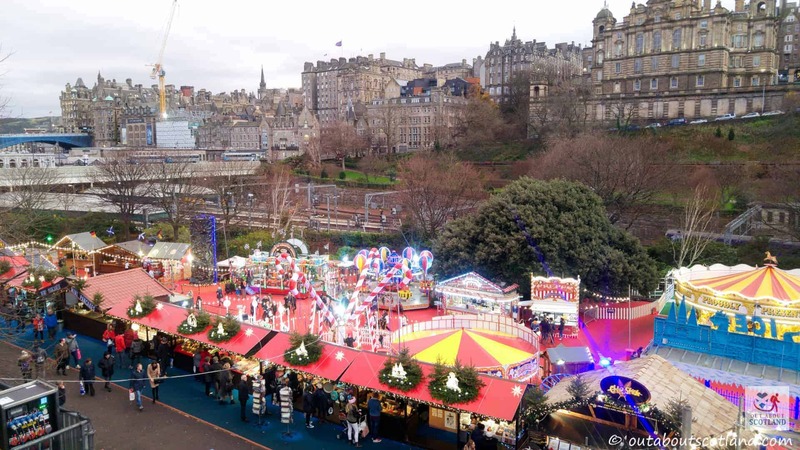 Edinburgh’s Christmas has grown from a small collection of German market stalls in Princes street into one of the country’s biggest festival events, where Christmas is celebrated with a dizzying array of fun-filled activities and shows for families of all ages. 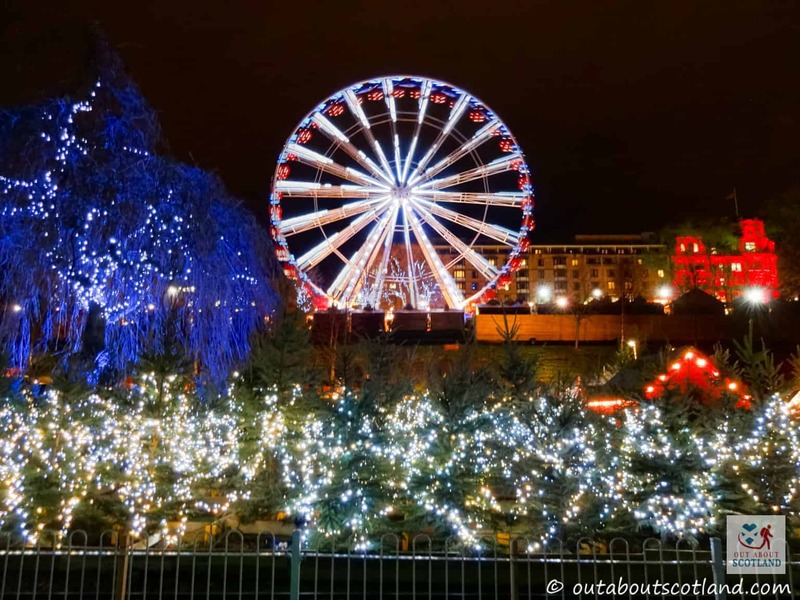 There’s certainly no shortage of things to do in Edinburgh at Christmas time and the city’s annual winter-wonderland spectacular firmly cements Edinburgh into one of the top destinations in to visit in Europe from November to January. 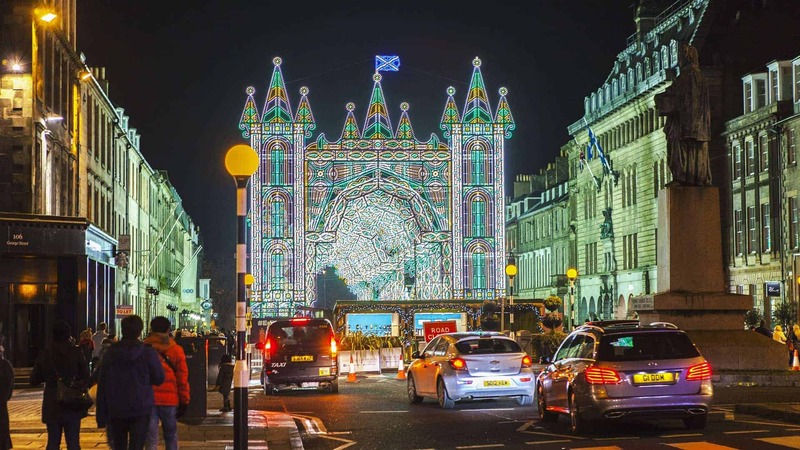 The event is located in several areas of the city centre so visitors can explore some of the best parts of Edinburgh during their visit, although to be honest even a full weekend isn’t going to be enough time to fit it all in. 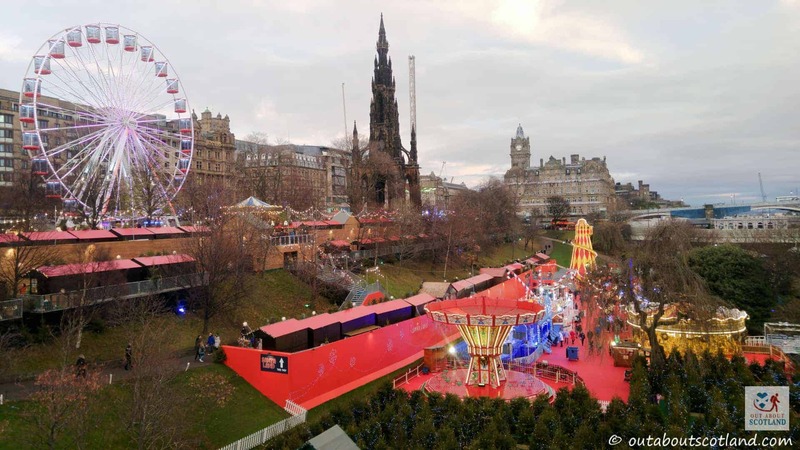 The main area is in Princes Street Gardens where you’ll find the majority of the market stalls and fun rides, while another location is a short walk away in St. Andrew Square where you’ll find more food stalls and rides, and in recent years the event organisers have included several Christmas-themed attractions in nearby George Street as well. 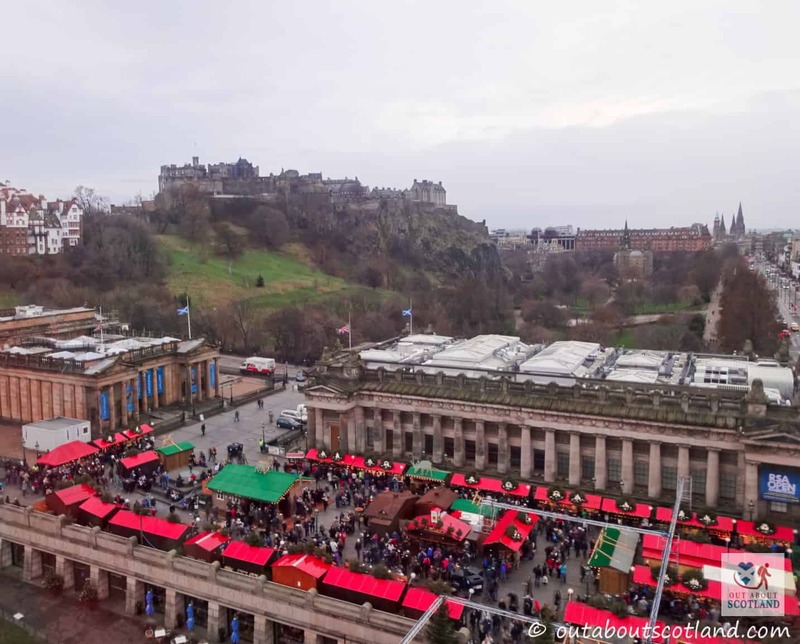 Probably the biggest draw to Edinburgh’s Christmas for tourists is the German market which seems to be expanding in size with every passing year, and it now takes up the majority of the available space in the eastern section of Princes Street gardens. 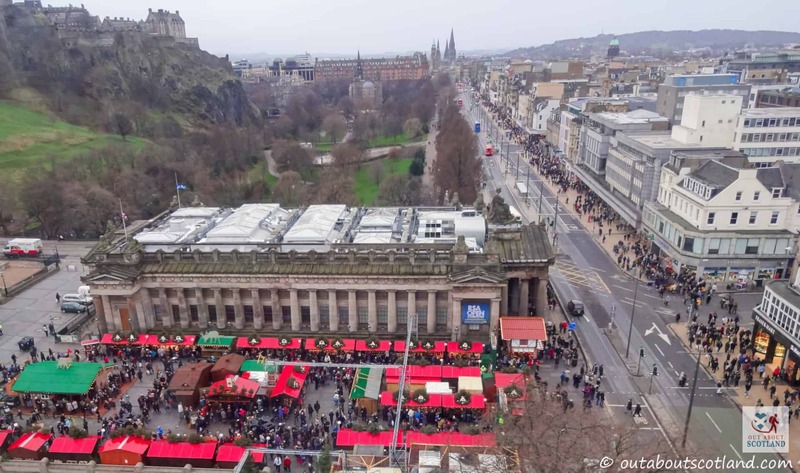 The market is actually really good, and unlike some other Christmas markets that sell overpriced tat, Edinburgh’s German market offers a wide variety of quality crafts, from Christmas decorations to home furnishings, and clothes and food. 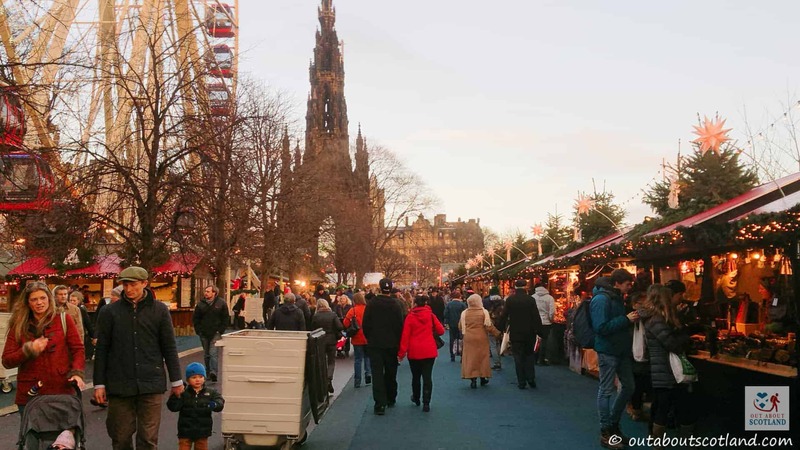 The food, in particular, is fantastic and there’s always a really good selection on offer, including piping-hot German sausages and mouth-watering pretzels, and there’s a great selection of drinks to enjoy as well, with copious amounts of delicious hot chocolate and mulled wine to be found in people’s hands as they walk around the event. 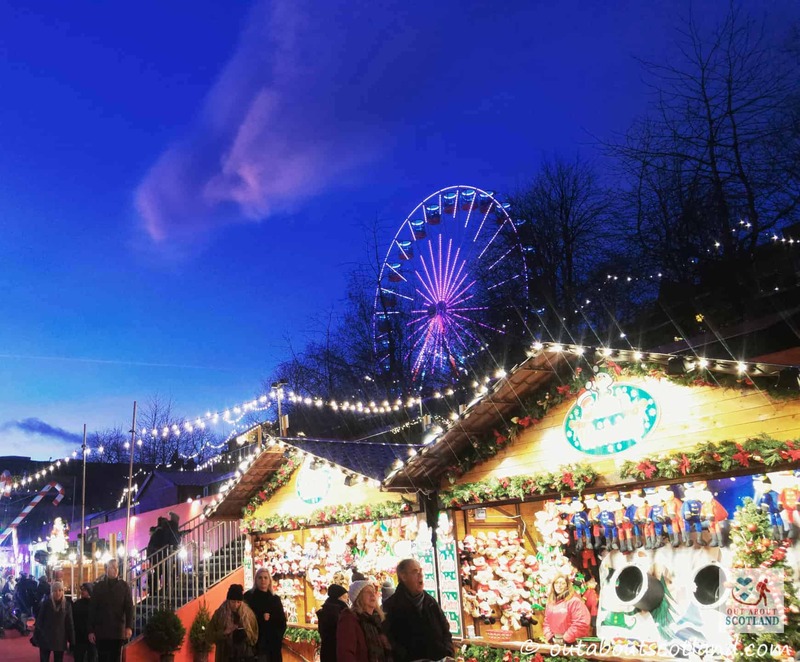 Kids will enjoy the Santa Land area which features a variety of rides including a train-ride through a forest of Christmas trees and an old-school helter-skelter, and there’s a kids Christmas market with enough sugary treats to keep them hyper till New Years Day. 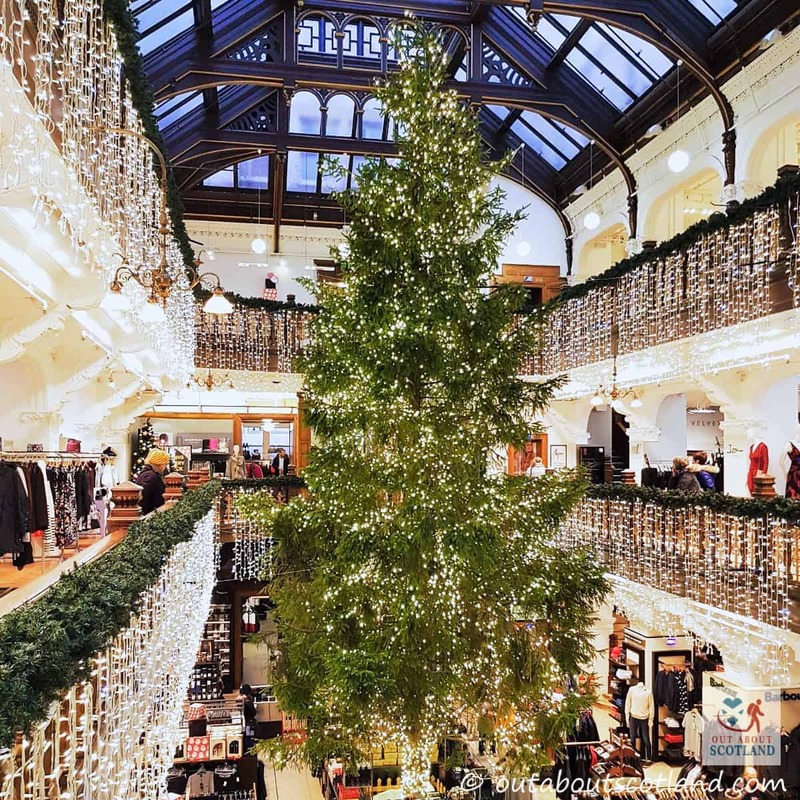 There’s also an elves workshop hidden in a Christmas tree maze to explore, and lucky visitors might even get a chance to meet the big man himself (as long as they’re not on his naughty list of course…). The event organisers tend to move many of the bigger rides around the different locations in the city each year but for the last few years Princes Street has been home to an enormous big wheel which offers really good views across the city, while the Star Flyer tends to move between Princes Street and St. Andrews Square. 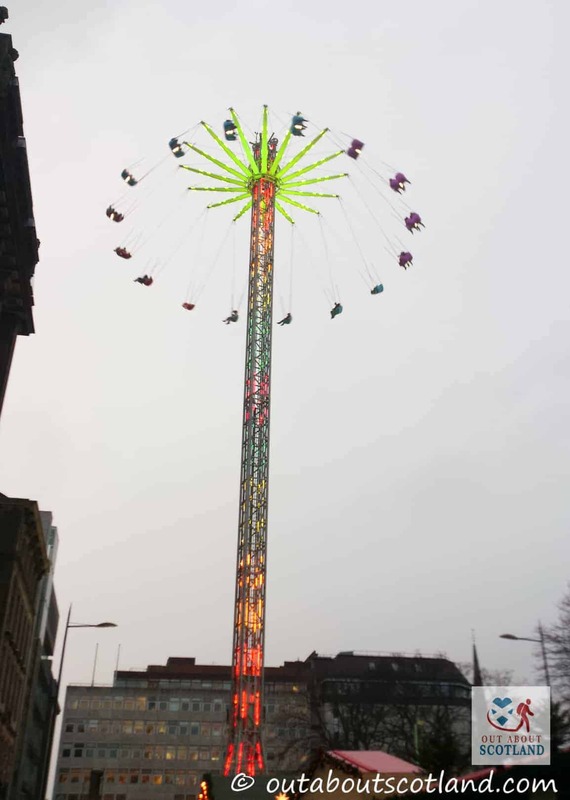 The Star Flyer is a great ride which is basically a huge spinning tower with seats hanging off it that whizz around at its top, with you clinging on for dear life and crying into your partner’s shoulder that you want to get off. 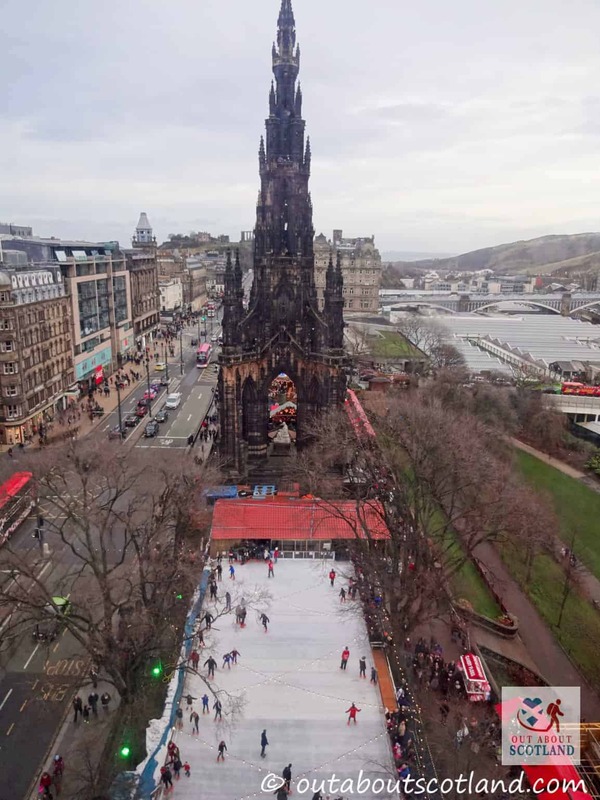 Ok, maybe that was me doing the crying, but my other half loved it, and I have to admit the views from the top across the city are pretty spectacular. 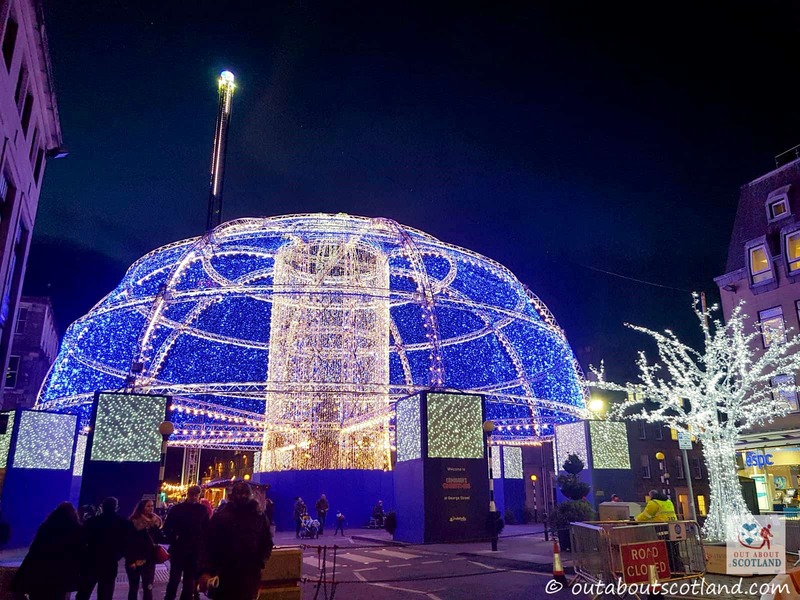 Moving on to St. Andrew square you’ll find the ice rink that circles the Melville Monument and surrounding it are a variety of small food and drink shops selling (mostly) local Scottish artisan delicacies. 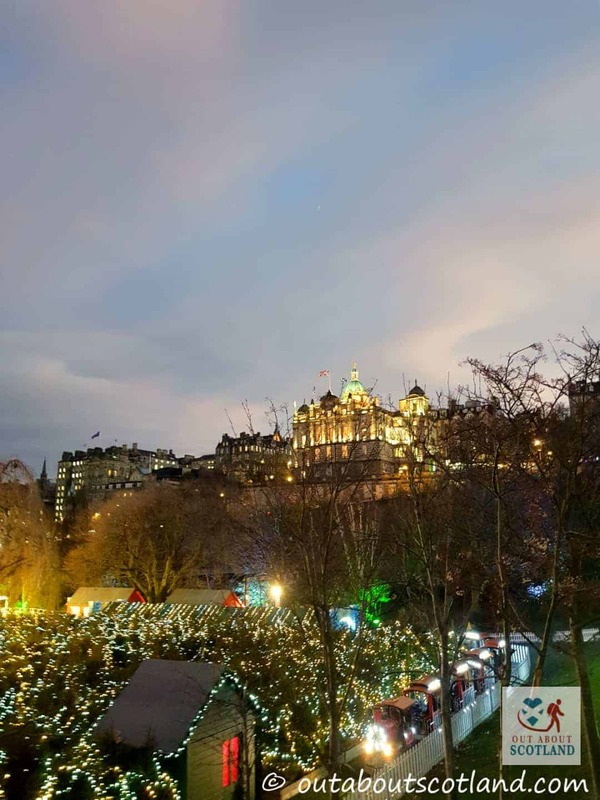 If you’re a fan of Scottish cheese and gin then this is a great place to come and get some extra-special treats for Christmas. 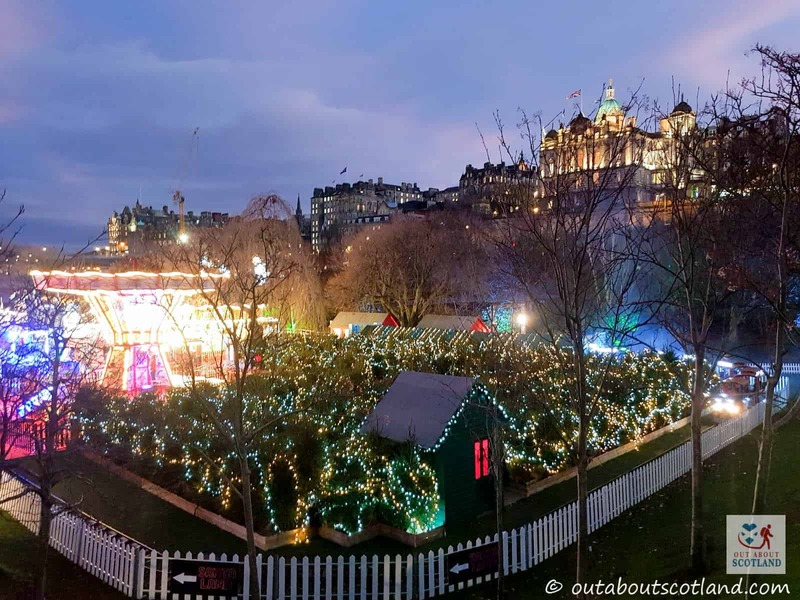 In the corner of the square is an area where the Spiegeltent is usually located, but check the Edinburgh’s Christmas official website for details as they often move it around. 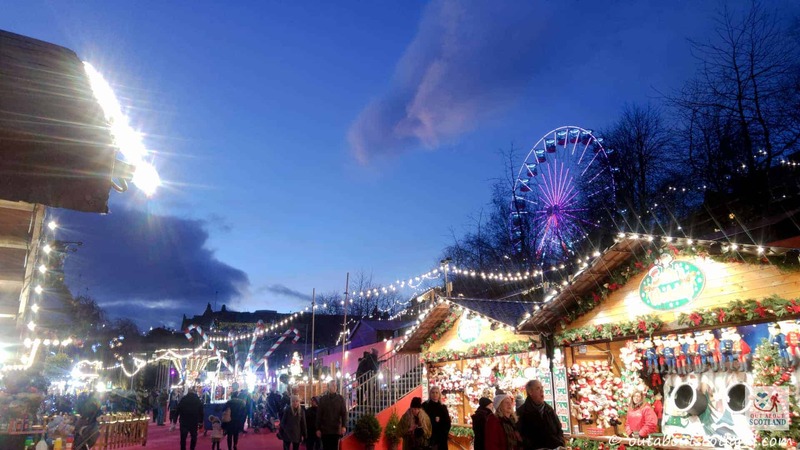 The Spiegeltent is well worth visiting as inside this huge German-style show tent you’ll find lots of different events held throughout the year, especially during Edinburgh’s Fringe festival and during Edinburgh’s Christmas festival. The Christmas shows staged there are usually circus acts, but they’re not the circus shows you might remember from your childhood. No, these shows are modern, cool, acrobatic and exciting, and while there’s an occasional bit of comedy thrown in you’re not going to see a clown with big shoes honking his nose. 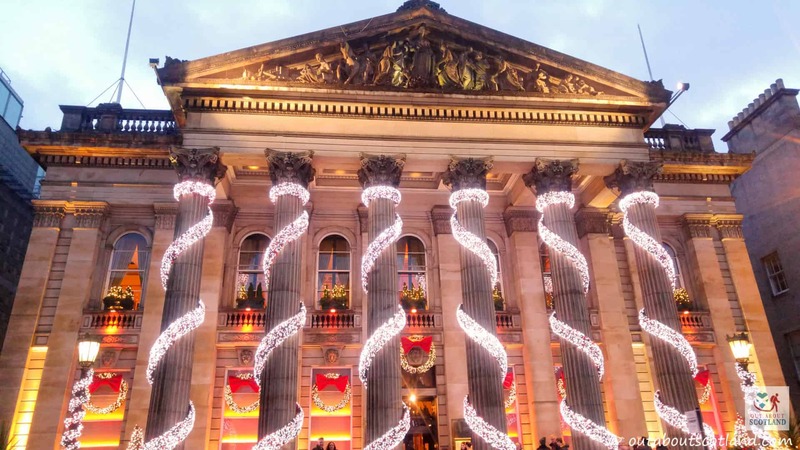 George Street is the last location for the festival and it’s becoming increasingly popular as a place to take a break from the hubbub of Princes Street and St. Andrew Square. 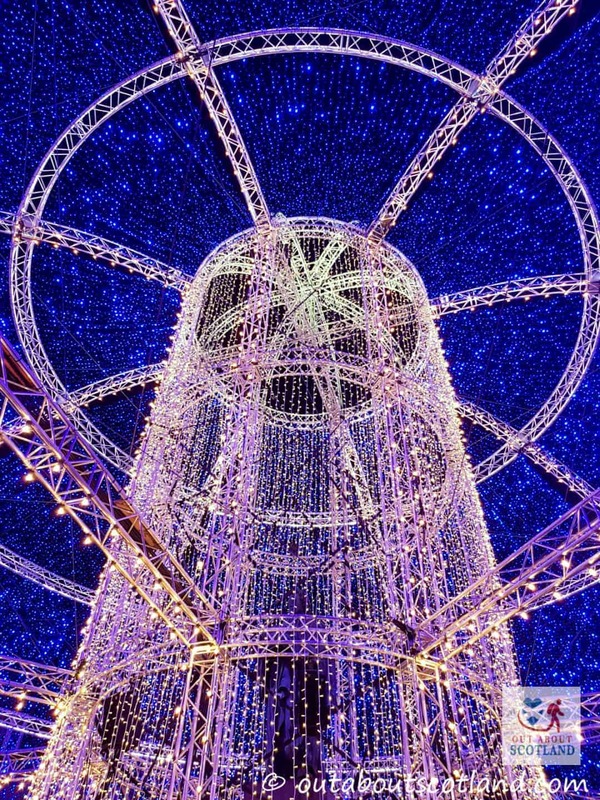 There are some really nice light shows staged all along the street and at night-time the atmosphere is electric (literally), with thousands upon thousands of lights dancing to music above your head. 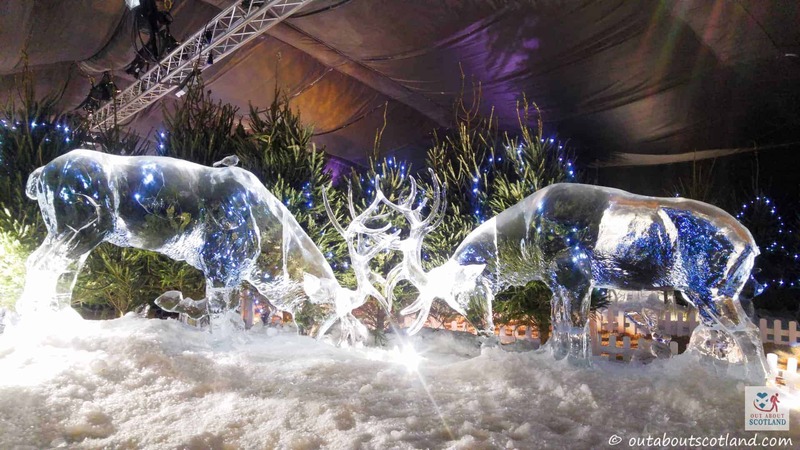 George Street also occasionally plays host to an amazing ice sculpture exhibition, and there’s usually another selection of market stalls to browse around. 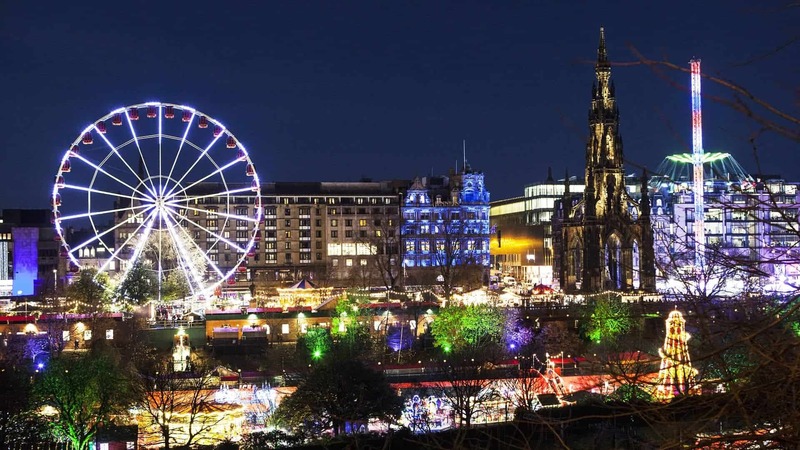 Edinburgh’s Christmas has to be (in my mind at least) the best Christmas festival in the UK, and possibly in Europe. 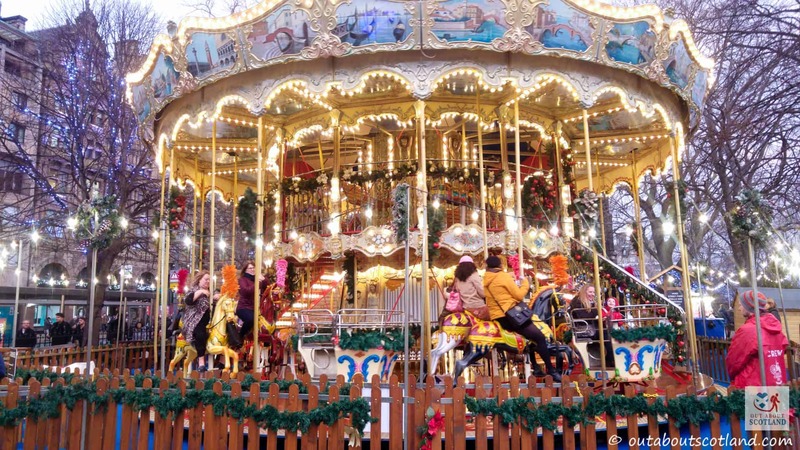 There’s so much to see and do that families will be kept occupied throughout their visit, and there’s enough going on that singles and couples will be kept entertained as well. For me, the only downsides are that it’s a bit of a victim of its own success, and at weekends the crowds are almost unbearable. 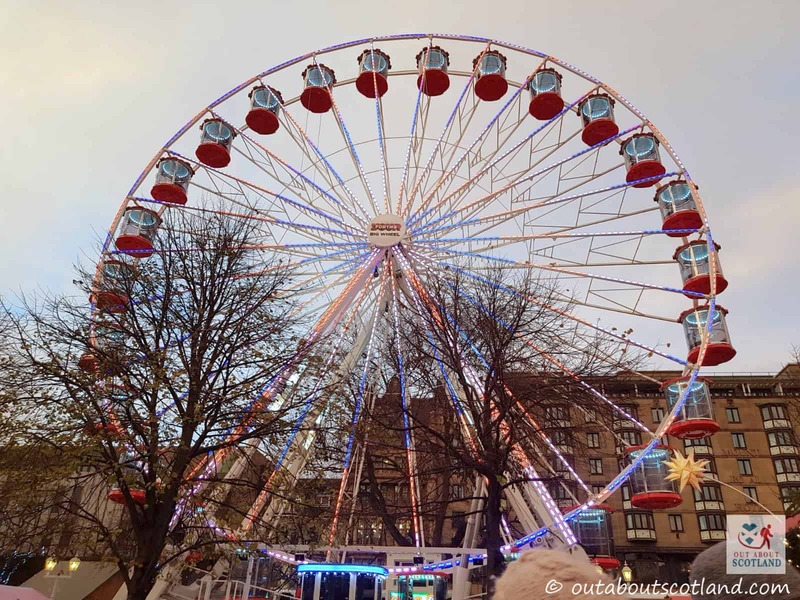 Another negative is that the price of the rides and shows are way too high in my opinion, and even though Edinburgh locals can get a discount by showing proof of their address, visitors from further afield are going to need deep pockets. 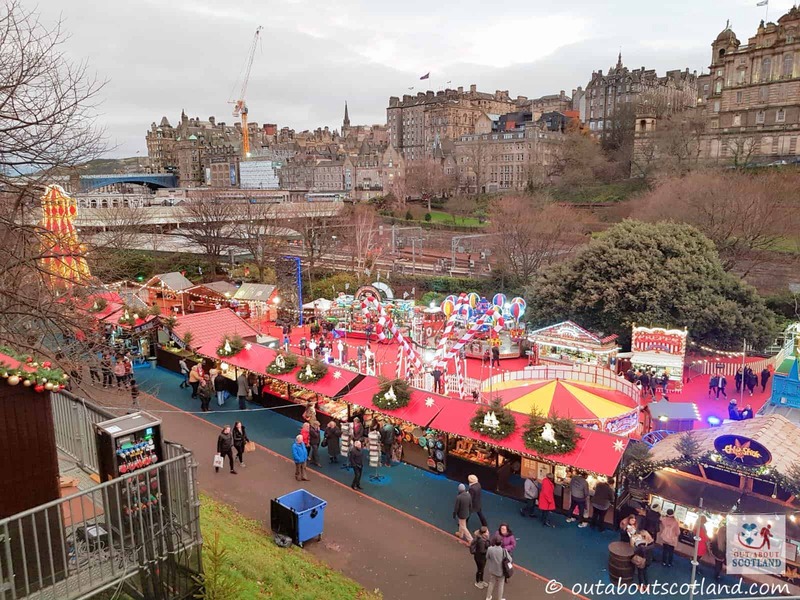 Even so, if you want to really get into the festive spirit I think a visit to Edinburgh’s Christmas is a must for every visitor to Scotland. 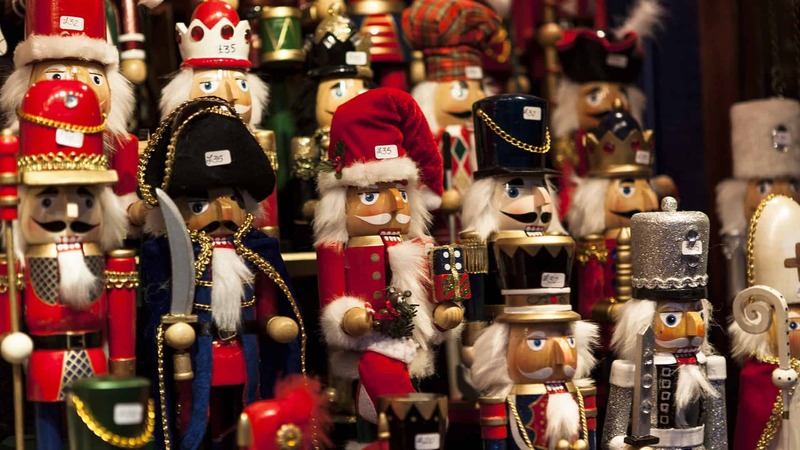 The event runs from November to January. Individual show and ride prices vary throughout the festival. 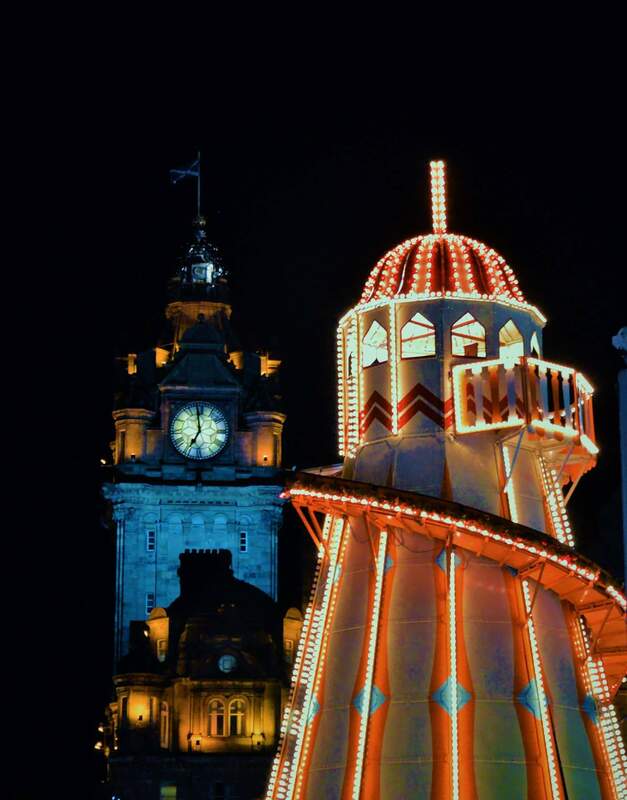 The Christmas market and Light Night are free to visit. 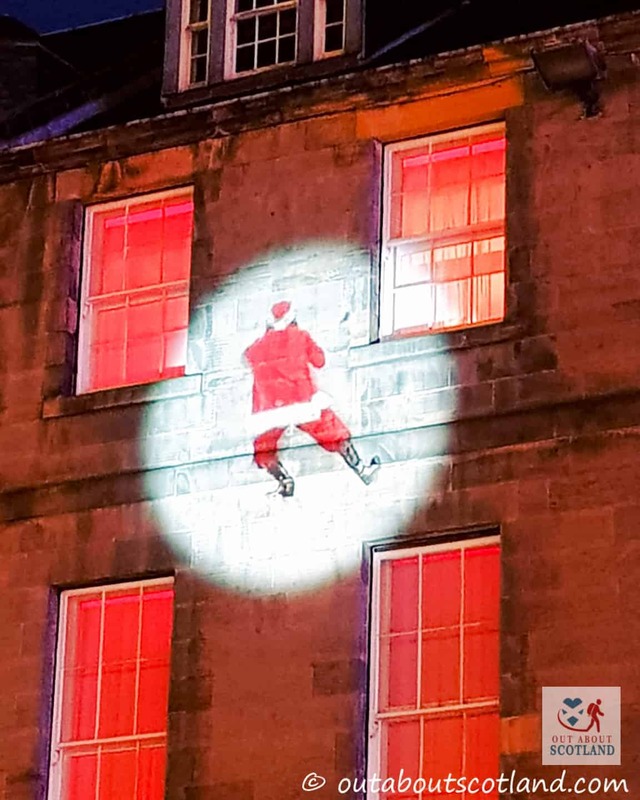 Check the Edinburgh’s Christmas website for further details.